Last updated: Jan 4th, 2012. This is the complete list of Samsung Galaxy Ace Plus specs for the Samsung Galaxy Ace Plus which is currently an Retired Android Phone. 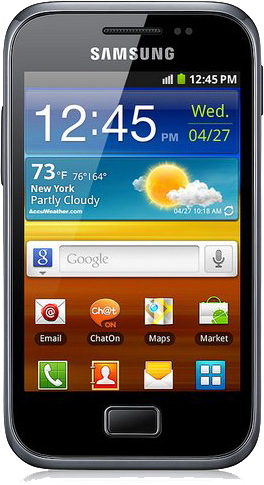 Includes specifications on screen size, battery capacity, camera specs, memory, storage, and more.